Offering you a complete choice of products which include medical parts machining, surgical equipment machined parts, high precision machined parts, precision machined surgical components, medical parts and precision medical components. 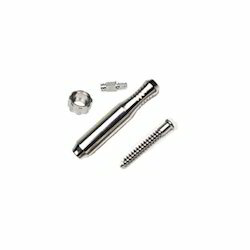 We are the leading manufacturer and exporter of Medical Parts Machining, we can supply to our client as per their requirement and their application. 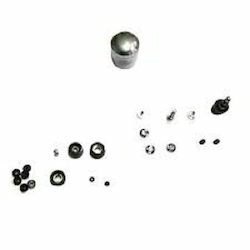 Our Medical Parts Machining are useful in nature and the overall designing of its external and internal features are at par with the latest industrial standards. The fact that we offer this product at reasonable rates makes it a profitable deal for our clients. 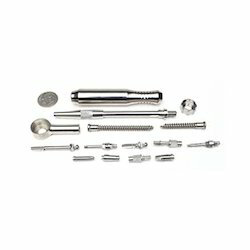 Our Surgical Equipment Machined Parts are built to cater to the various complex industrial requirements. These are tested at quality testing unit and then supplied to our clients for manufacturing various machines and equipment. Before dispatching these machines to the clients, our quality professionals test these on various parameters like hardness, blowholes, dimensions and quality. 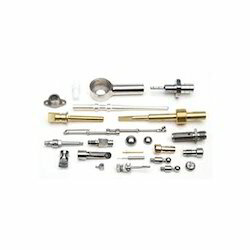 We are committed to offer our clients a wide array of Micro Machined Parts. These Micro Machined Parts are precision engineered by the professionals, who follow international standards. With our customer satisfaction, we gain a very reputed position in the market. Bulk amount of product is delivered on time. 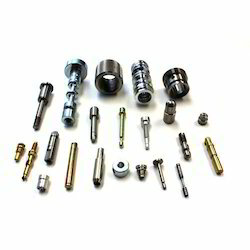 Their precision machining standards also help in maximizing end quality standards. We are the leading manufacturer and exporter of the high quality Precision Machined Surgical Components. Ceramics are the material of choice for their thermal and electrical insulation characteristics, especially for cauterization probes. They are manufactured using best grade raw materials and are well known for durability and high performance. These are accessed at a cost effective price. 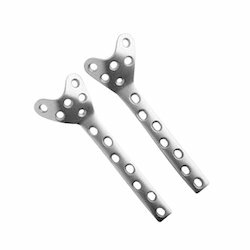 Our Medical Parts Machining are useful in nature and the overall designing of its external and internal features are at par with the latest industrial standards. Owing to our expertise in this domain, we offer an exclusive array of Precision Medical Components. 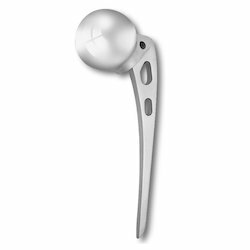 The medical components are widely acknowledged for their intricate designs, fine finish and elegant look. Precision Medical Components are provided in varied specifications and are manufactured using high quality raw materials that ensure their tensile strength and durability. Clients can avail these products in various specifications as per their suitability at very affordable prices. 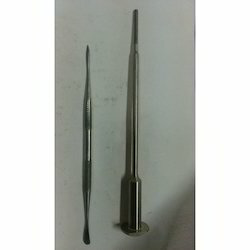 We are among the leading manufacturers, exporters and supplier of wide variety of Brass Surgical Parts. Professionals utilize premium grade raw materials for the manufacturing of these products. 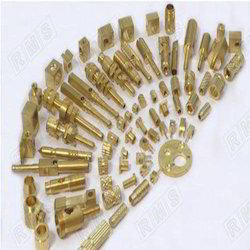 Brass Surgical Parts are designed and are manufactured as per the international quality standards of quality and are known for their sturdy construction and long service life. Our complete product range is quality tested by our quality controllers to ensure their dependable performance. 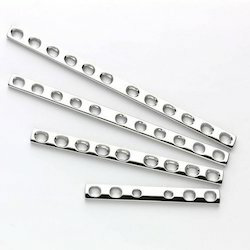 In our broad range of Orthopedics Implants Instruments, we are also manufacturing and supplying quality assured array of Orthopedic Implants, Locking Plate. In addition, these implants are manufactured in adherence with the industrial norms and standards. Owing to the wide experience in this domain, we are instrumental in offering Condylar Buttress Plate to our clients. 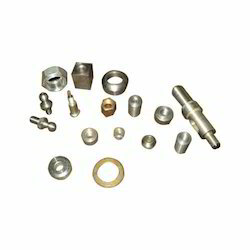 We are manufacture of Stainless Steel Medical Fasteners. These are made up of supreme grade raw material in strict adherence with the highest quality standards. In addition to this, the offered range is customized with respect to the emerging demands of the clients. 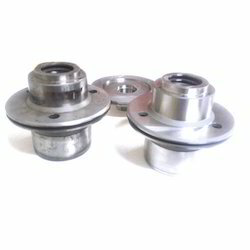 Clients can avail from us precisely engineered Automobile Component. Our offered highly durable range is assembled using the finest quality raw components and advanced methodologies to ensure international quality standards. We have gained huge acceptance by manufacturing and supplying best quality Narrow Compression Plate. 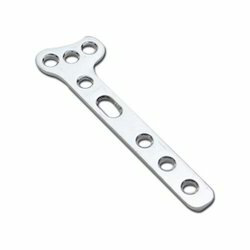 Uniquely engineered for treating the fracture of long bones such as tibia and femur, these plates are equipped with smooth dynamic compression unit, which provides ease of use to the surgeons. We use premium grade steel material to fabricate this tension band plate which can be ordered from us in various numbers of holes at a competitive price. Looking for Medical Equipment Parts ?